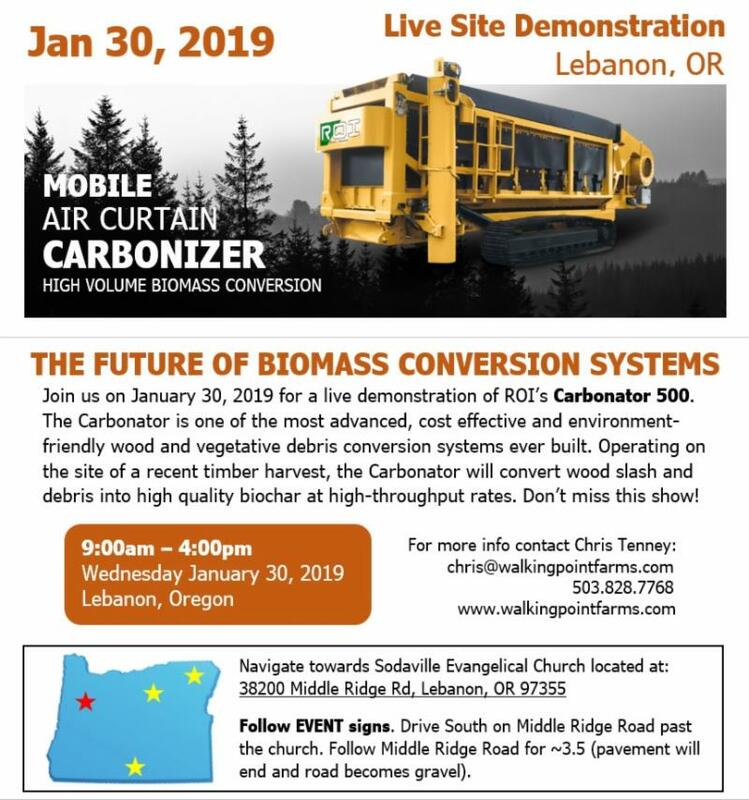 Live Site Demonstration in Lebanon, Oregon on January 30, 2019 and discussion about the future of biomass conversion systems. Join us on January 30, 2019 for a live demonstration of ROI’s Carbonator 500. The Carbonator 500 is one of the most advanced, cost-effective and environmentally-friendly wood and vegetative debris conversion systems ever built. Operating on the site of a recent timber harvest, the Carbonator will revert wood slash and debris into high-quality biochar at high throughput rates. Don’t miss the show!